USNS Montford Point (MLP 1) departed San Diego July 12 for Naval Station Everett, Wash. Montford Point is the Navy's first mobile landing platform, delivered to the Navy in San Diego May 14, and is expected to be fully operational in fiscal year 2015. The ship, crewed by 33 contract mariners working for a company under charter to Military Sealift Command, will perform system tests during the voyage to its temporary layberth. Montford Point is scheduled for final contract trials in September, with its core capability set installed later this year. The Navy's second MLP, John Glenn, had its keel laid in December, with completion and delivery expected in March 2014. 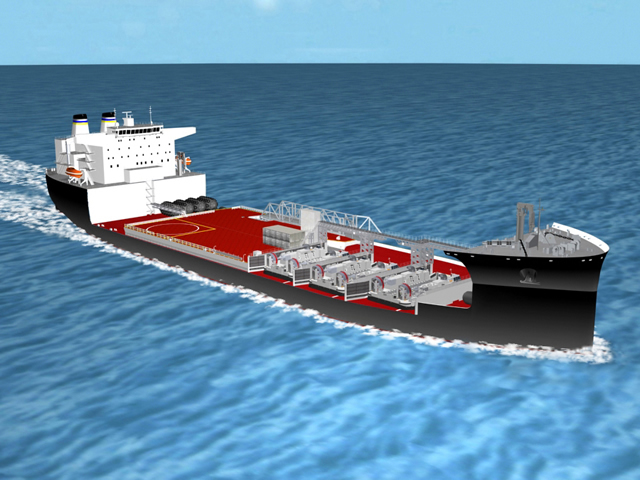 The MLP class of modular, flexible ships belongs to MSC's Maritime Prepositioning Force as a mobile sea-base option that provides our Navy fleet with critical afloat capability, supporting the flexible deployment of forces and supplies. Contract mariners will operate and navigate the MLP ships on behalf of the Navy and Marine Corps. "Montford Point will provide the key link - 'the pier in the ocean' - that will permit the military to engage in true seabasing sustainment of equipment and supplies to our troops ashore, from beyond the horizon," said Mike Touma, assistant engineering officer in MSC's Prepositioning Program. Leveraging float-on/float-off technology and a reconfigurable mission deck to maximize capability, the MLP provides a seagoing pier when access to on-shore bases and support are unavailable. 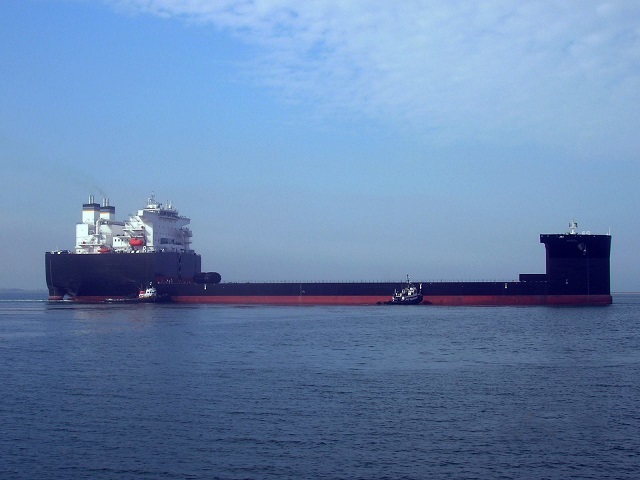 The platform includes add-on modules that support a vehicle staging area, vehicle transfer ramp, large mooring fenders and up to three Landing Craft, Air Cushioned vessel lanes to enhance its core requirements. Notably, the MLP can operate up to 25 miles from shore and transfer equipment at sea with 1.25-meter waves and when its mission deck is removed, it can serve as a semi-submersible platform, offering salvage and point-to-point capabilities as well. Military Sealift Command operates approximately 110 noncombatant, U.S. Navy civilian-crewed ships that replenish U.S. Navy ships, conduct specialized missions, strategically preposition combat cargo at sea around the world, and move military cargo and supplies used by deployed U.S. forces and coalition partners.